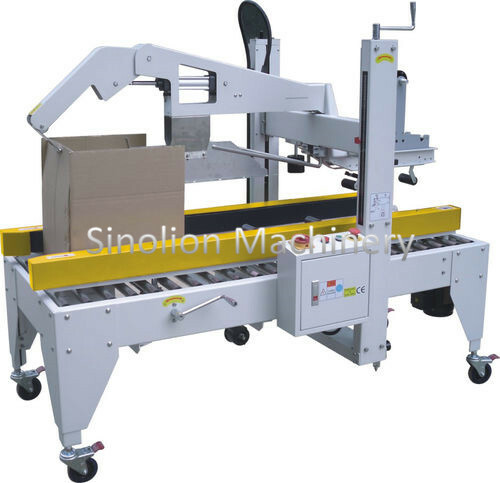 Box Wrapping Machine also called carton, carton folding machines, automatic completion unpacking machine refers to unpacking, forming, The fold under leaves flex. And now complete stickup, will next part tape of paperboard folded, box open corrugated board base Department according to certain procedures, and converted after tape sealing transported to the packing machine special equipment. operation, is the automation scale was born Indispensable equipment. Looking for ideal Box Wrapping Machine Manufacturer & supplier ? We have a wide selection at great prices to help you get creative. All the Box Packing Machine are quality guaranteed. We are China Origin Factory of Automatic Carton Box Sealing Machine. If you have any question, please feel free to contact us.